Addressing the function as chief guest Social Worker and Youth leader form Arunachal Pradesh Mongol Yomso Ali-aye ligang which was organised by jointly Missing society of Shillong and Missing Student’s union express that the people of Assam and Arunachal Pradesh are brotherhood by colourful culture, keeping harmony even separated by geographically diversion till date. Shillong Missing society president Advocate Abhijit Medok, Prof B S Mipun and IB officer Purna Mili, Dipankar Doley with chanting of Donyi-Po:lo (Sun-Moon, Sedi-Melo, Karsing-Kartang, forefathers of Miri clan. The one day long programme was conclude by performing Gumrag dance, lole nitom, Oi-nitom (love song), solo song, solo dance, group dance by Mising students Union Shillong and other cultural activities. Mising Sahitya Sabha former Vice President Tuleswar Pegu, n. Adi-Mising Students’ Union president Tushar Ngate Arindom The Assam Lutad editor Prince Panging also address the function. 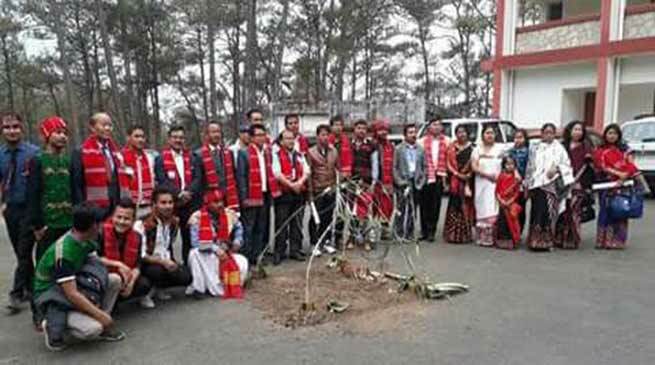 Representatives of AASU, ABSU, ADISU, Naga, hajong, Deori, Rabha, Kuki, Mizo, Khasi, NEHU student’s and other dignitaries were present the colourful programme.